Improve skin’s texture, fine lines and wrinkles, acne scarring, pore-size and overall firmness with PIXEL Laser Resurfacing. Are you looking for an overall improvement to the skin on your face, neck and/or chest? Do you like the idea of a treatment that can treat multiple concerns at once, such as acne scarring and pigmentation? Or, fine lines and pore-size? If you would like to see ALL of these improvements to your skin, it is time to consider Laser Skin Resurfacing with PIXEL and PIXEL PEEL PLUS! The FDA-approved PIXEL laser combines the effectiveness of an ablative laser (a laser that removes layers of skin) with the comfort, reduced downtime, and lower risk of side effects of a non-ablative laser. How does it do this? The PIXEL laser uses fractional resurfacing technology, where the laser beam is split into tiny “pixels” of light. The light converts to heat when it touches the skin, creating a series of micro-injuries that stimulate healing and collagen remodeling while leaving the surrounding tissue intact. The highly accurate and adjustable PIXEL laser is able to target the desired treatment area at a precise depth, location and strength. This allows your Certified Laser Technician to adjust the settings of your treatment to tailor to your specific needs and desired length of downtime. Many patients notice an improvement in their skin after their first PIXEL treatment, with results continuing to improve over the course of several sessions. During your initial consultation, your Licensed Aesthetician (who is also a Certified Laser Technician) will discuss how to properly prep your skin for this treatment to enhance your results. 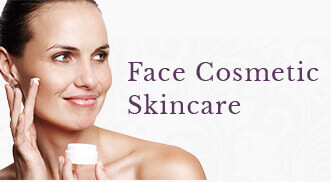 This may involve the use of exfoliating homecare products or even a light chemical peel. She will ensure that you are a good candidate for PIXEL Laser Resurfacing and also discuss how you will care for your skin after your procedure. As in the case of IPL (clickable link), you will be prescribed a medication to take before and after your PIXEL treatment if you are susceptible to cold sores. Even though PIXEL has minimal downtime, it is advisable to schedule this treatment around your social calendar appropriately. Face Cosmetic Skincare offers PIXEL and PIXEL PEEL PLUS, and your Certified Laser Technician will decide which treatment therapy will help you achieve the best results. Before your treatment you skin will be thoroughly cleansed and a numbing cream will be applied to keep you comfortable during the treatment. Your eyes will be protected as well with a pair of goggles. After a time, your Certified Laser Technician will remove your numbing cream and begin to treat your skin in a series of passes. The PIXEL Laser will send a series of short, concentrated pulsating beams of light at your skin in a grid-like pattern. This creates small micro-channels in your skin and stimulates fresh healthy collagen and elastin to heal the area. As treated areas heal, the new skin that surfaces is smoother and firmer with each treatment. Immediately following your PIXEL treatment, you skin will look “frosty” and you may feel like you have a moderate to severe sunburn. Cool compresses and proper post care will keep you comfortable over the next few days as your skin gradually begins to flake and peel. This period of flaking can last up to 10 days, but makeup, or our Lycogel product, may be worn to cover any redness. Again, your Certified Laser Technician will discuss how much downtime you desire and adjust your treatment settings to allow for that time. Many patients see improvement in skin texture and tone after just one treatment, but as PIXEL only treats one layer of skin at a time, it is advisable to schedule a series of treatments spaced 4 to 6 weeks apart to see the best improvement. To protect your investment, it is advised that you wear a physical SPF of at least 30 on a daily basis to prevent future damage. 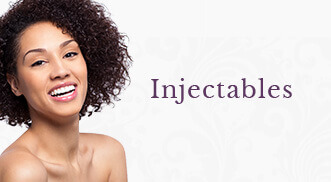 To maximize and prolong the results of PIXEL Laser Resurfacing, our team recommends the use of BOTOX® (clickable link) and Dermal Fillers (clickable link) to further enhance the volume, firmness and smoothness of your skin! Ask your Certified Laser Technician about our MRewards Program to save up to 40% on PIXEL Laser Resurfacing and other treatments at Face Cosmetic Skincare! Are you interested in learning more about Laser Resurfacing (aka Laser Peel or Vaporization)?